To facilitate the ‘Platform for Growth’ strategy the ASL Group is being restructured into two divisions, European Airlines and Rest of the World Airlines and Leasing. 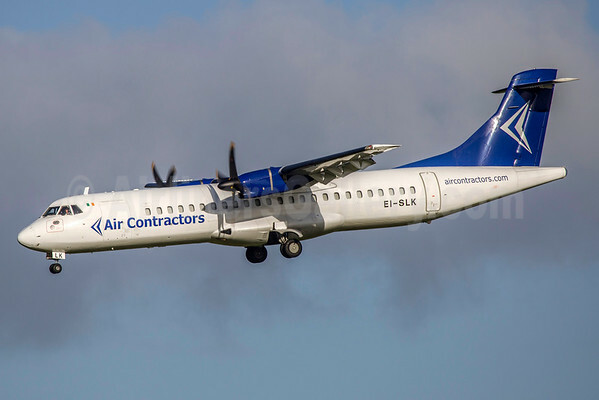 The current CEO of Air Contractors, Colin Grant will become Chief Executive of the new European Airline’s division and will be based in Dublin. The current CEO of Safair, Dave Andrew, will become Chief Executive of the new Rest of the World Airlines and Leasing Division and will be based between Johannesburg and Dublin. ‘Platform for Growth’ will see ASL increase the number of aircraft in its combined cargo and passenger fleets. Aircraft will also be transferred throughout the group to facilitate the airlines and their ‘centres of excellence’ becoming specialists in operating specific aircraft types. Copyright Photo above: SM Fitzwilliams Collection/AirlinersGallery.com. ATR 72-212 EI-SLK (msn 395) prepares to land at Shannon. Copyright Photo above: TMK Photography/AirlinersGallery.com. Air Contractors operates this Boeing 757-2Q8 EI-LBS (msn 27623) for Aer Lingus. 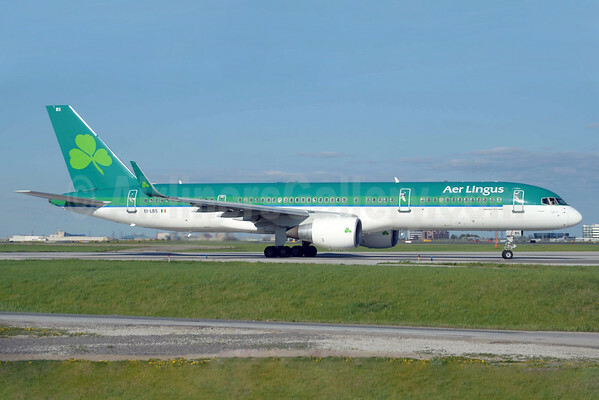 Air Contractors operates Boeing 757-200 transatlantic passenger services from Shannon and Dublin to North America for Aer Lingus and also operates Boeing 737 charter passenger services throughout Europe from Dublin, Shannon, Cork and Knock Airports. The airline also operates a fleet of turbo prop and jet aircraft for express parcel integrators throughout Europe and the Middle East. 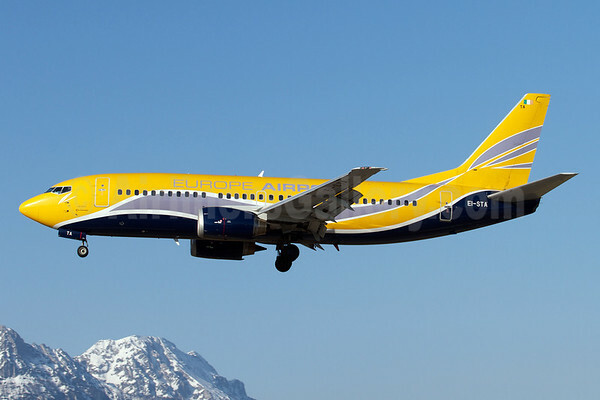 Paris CDG based Europe Airpost will be rebranded as ‘ASL Airlines’ France. The airline operates a fleet of Boeing 737-300/-400/-700 aircraft on passenger and cargo services. Copyright Photo above: Arnd Wolf/AirlinersGallery.com. Boeing 737-31S EI-STA (msn 29057) of Europe Airpost arrives at scenic Salzburg, Austria. Europe Airpost flies passenger charter services for tour operators throughout Europe and the Mediterranean countries, as well as VIP and ad hoc passenger flights throughout the world. On the cargo side, Europe Airpost flies for overnight and postal operators within France and Europe, and operates ad hoc cargo flights throughout the world. As part of its strategy of diversification, Europe Airpost also operates a weekly scheduled cargo service out of Paris CDG to Tunis, and a number of seasonal scheduled passenger routes serving France, Austria, Portugal and Halifax (Nova Scotia/Canada) via Dublin. 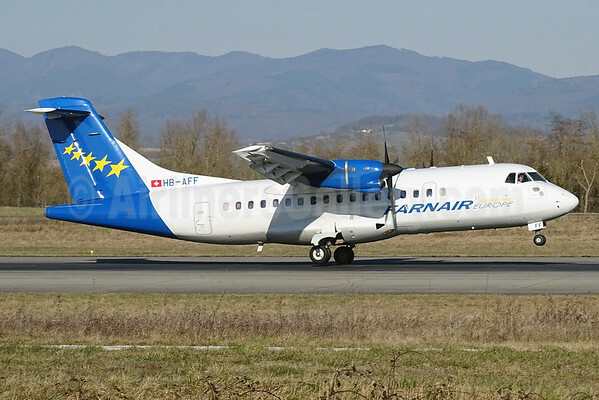 The two European airlines in the Farnair Group will be rebranded as ‘ASL Airlines’ Switzerland and ASL Airlines Hungary. Copyright Photo above: Paul Bannwarth/AirlinersGallery.com. Farnair Switzerland ATR 42-320 HB-AFF (msn 264) arrives back at the Basel/Mulhouse/Freiburg base. Farnair operates a fleet of turbo prop and jet aircraft for express parcel integrators throughout Europe and also operates cargo turbo prop services in Africa. Farnair also operates ATR42 passenger services. Farnair’s joint venture airlines in Asia, Quikjet in India and K-Mile in Thailand are not included in the rebranding initiative. This entry was posted in Aer Lingus, Air Contractors, ASL Airlines (France), ASL Airlines (Hungary), ASL Airlines (Ireland), ASL Airlines (Switzerland), ASL Aviation Group, Europe Airpost, Farnair (Hungary), Farnair (Switzerland) and tagged 100th Boeing 737 NG, 17000395, 264, 27623, 29057, 395, 737, 737-300, 737-31S, 757, 757-200, 757-2Q8, Aer Lingus, Air Contractors, Albatros Airlines, ASL Airlines (Ireland), ASL Aviation Group, ATR, ATR 42, ATR 42-320, ATR 72-212, Basel/Mulhouse/Freiburg, Boeing, Boeing 737, Boeing 737-300, Boeing 757, Boeing 757-200, BSL, EI-LBS, EI-SLK, Europe Airpost, Farnair (Hungary), Farnair (Switzerland), Farnair Europe, HB-AFF, Pearson, Salzburg, Shannon, SZG, Toronto, YYZ on June 9, 2015 by Bruce Drum.